Take a deep. Smell that? It’s spring being awesome. As a Vietnamese native happily transplanted in Hanoi, I have a real appreciation for the beginning of Spring. I love the sweet smell in the air, the sounds of the birds, and the hints of warm summer to come. It is indeed a time of rebirth, of new beginnings. The business world has also woken up from its winter grind with opportunities sprouting right and left. We’ve got spring infused new release pop up card collection to inspire you here – including some suggestions to help you find just the right greeting card to remind your loved ones why you’re their favorite. 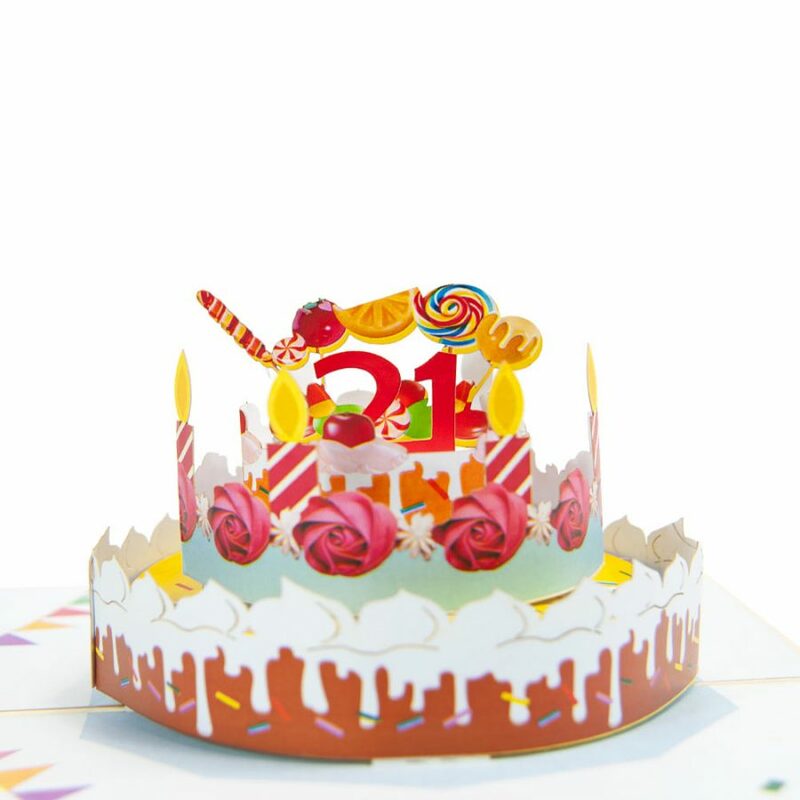 Birthday cake age pop up card has a cream cover with beautiful birthday patterns. The image reveals just enough of the surprise inside. Open the card and you will find a stunning three-dimensional sculpture of a beautiful Birthday cake with candles and delicious-looking toppings. 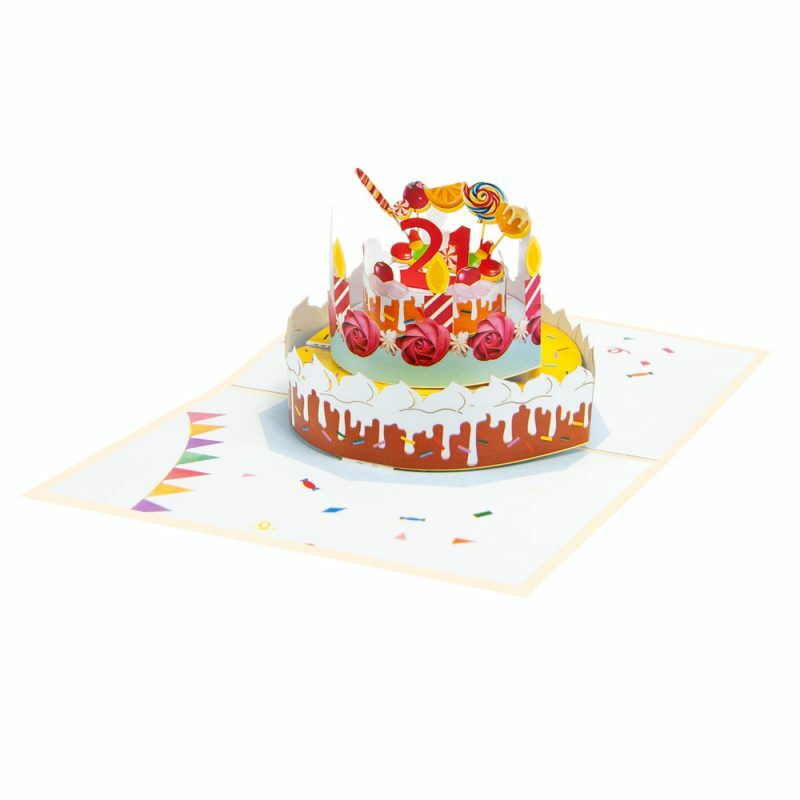 You can also order customed-design age number on the top of the cake. 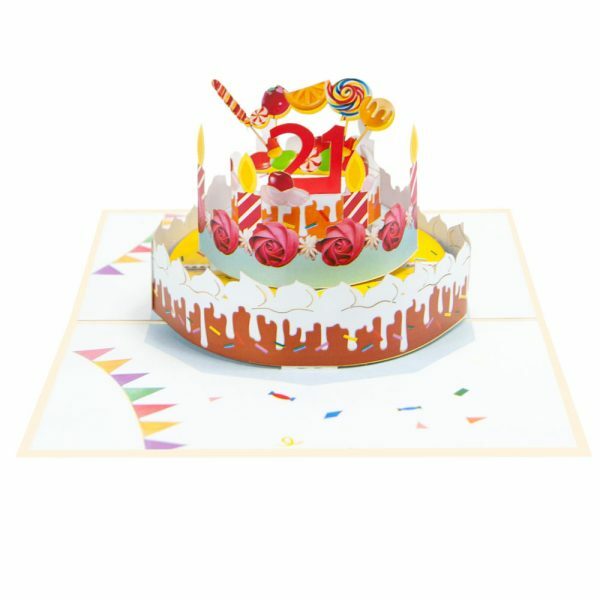 Birthday cake age pop up card is inspired by a simple cake that your mother made for your birthday, we hope to help you celebrate your birthday with our best wills. No needs for dramatic ideas, the moment when the sculpture pops up is enough to trigger excitement. Our craftsmen have carefully design layers and layers of the pop-up to make the sculptures look so vibrant and bring great excitement to receivers. 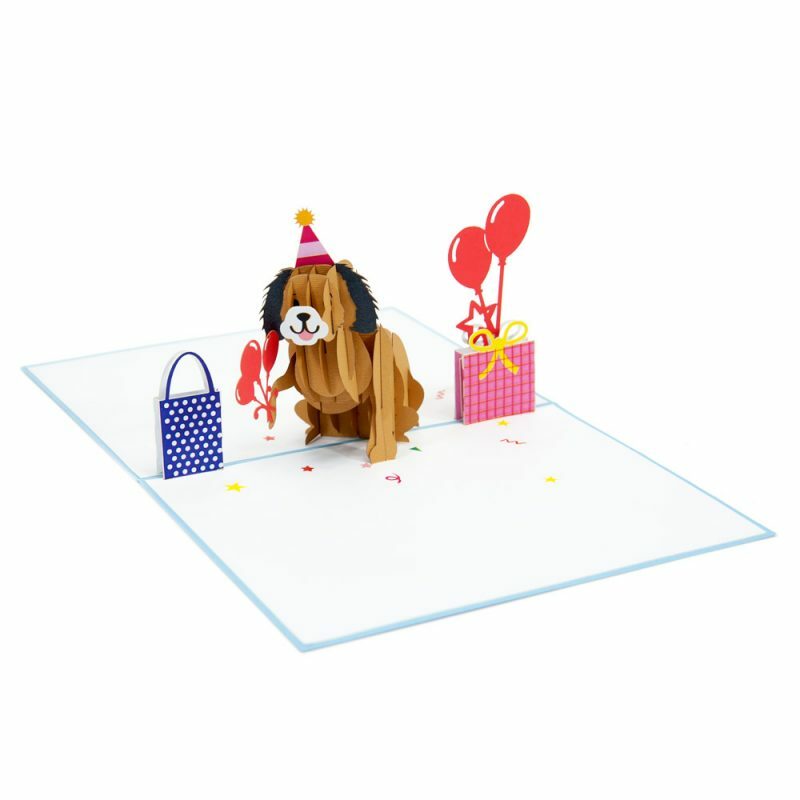 Birthday cake age pop up card is best suitable to celebrate Birthday for anyone. 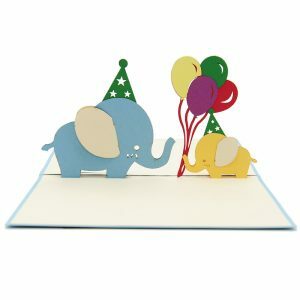 Give this handmade pop-up card to your friends or children on their birthday to tell them how much you care. Mother chicken pop up card has a blue cover with a Happy Mother’s day typography. The image reveals just enough of the surprise inside. Open the card and you will find a mother hen taking care of her little baby. 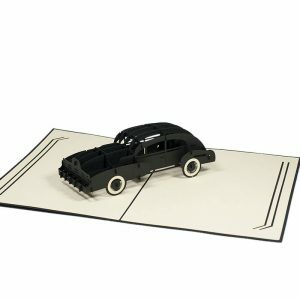 We hope this product could become a simple delicate gift for cherishing familyhood. Suitable for the newborn baby occasion of your friends or family. 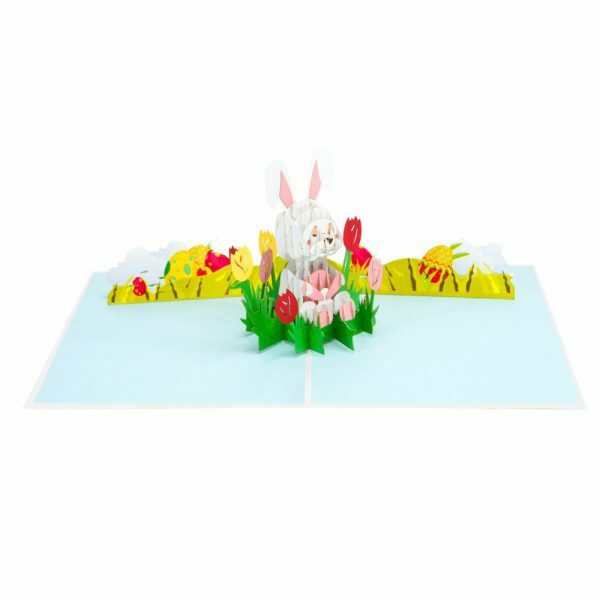 Happy Easter pop up card has a cream cover with an Easter bunny pattern. The image reveals just enough of the surprise inside. Open the card and you will find a stunning three-dimensional sculpture of a lovely bunny sitting in a beautiful garden full of flowers. If you’ve been on the hunt for some Easter expressions to whip out at your next family get together, we’ve got you covered. Get into the holiday spirit and reflect on the true meaning of Easter with our latest Easter pop up card. Whether you’re looking for a holiday card or just looking for some seasonal inspiration– here is the most inspiring, uplifting, and thought-provoking Easter card design. 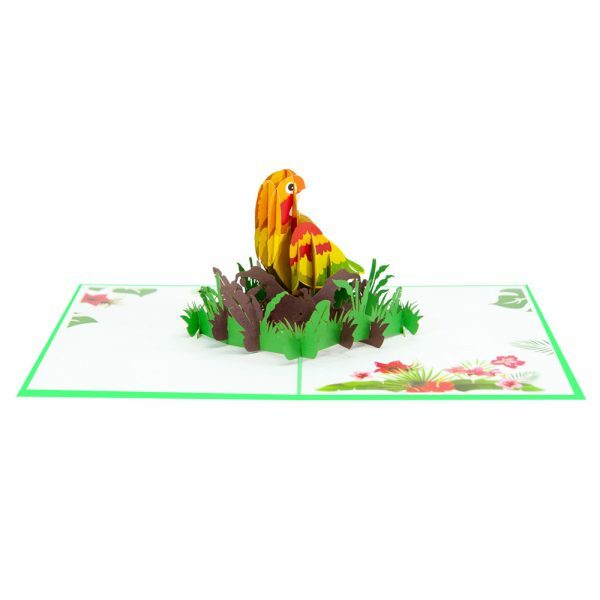 Easter pop up card is not only suitable for children, or for anyone who loves the beauty of this traditional bunny on Easter Holiday. 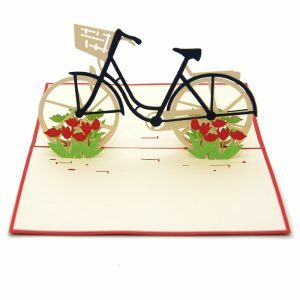 Give this handmade pop-up card to your little sunshines and watch them get thrilled on opening the card. 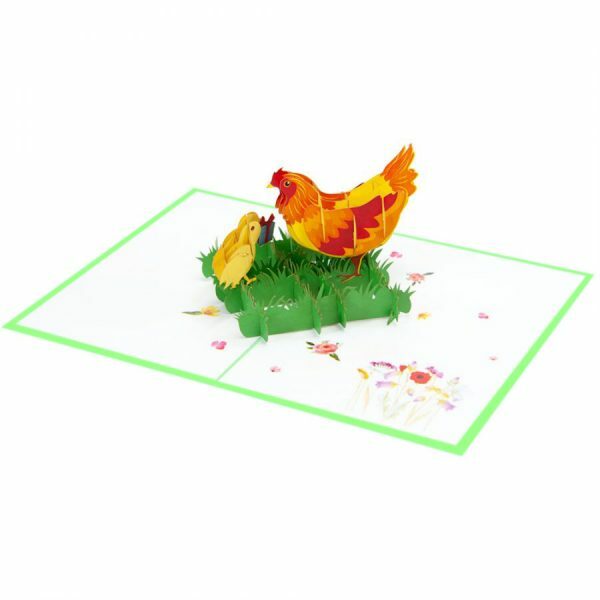 Sunflower ladybug pop up card has a cream cover that features a water-color sunflower pattern. The image reveals just enough of the surprise inside. 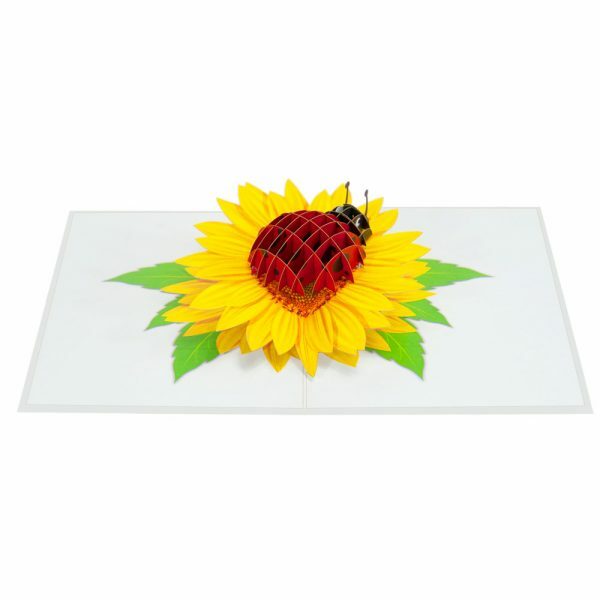 Open the card and you will find a little stunning three-dimensional full bloom sunflower and a vibrant red ladybug. Don’t worry, we always leave the card blank so that you can personalize your own words. Send together some loving messages and deliver them to the ones you love. 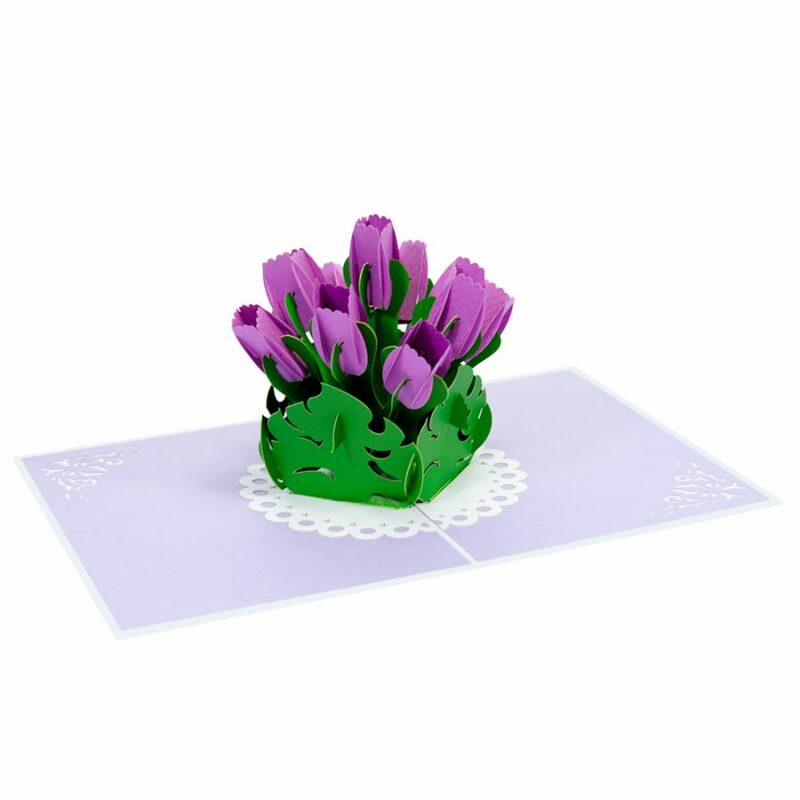 The cards are perfect for summer and spring when flowers blooming. Indeed, a simple flower card is always an easy-to-go option for almost all occasions, from Father’s day to Mother’s day and even Birthday. 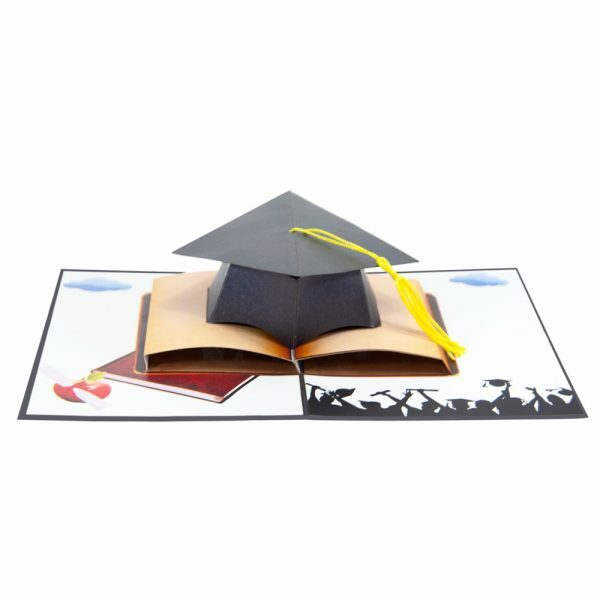 Graduation hat pop up card has a black cover with a signature graduation pattern. The image reveals just enough of the surprise inside. Open the card and you will find a stunning three-dimensional sculpture of a lively graduation cap and graduation-vibe patterns. “Education is our passport to the future, for tomorrow belongs to the people who prepare for it today.” Thus, graduation is a great turning point in one’s life and worth celebrating. No needs for dramatic ideas, the moment when the sculpture pops up is enough to celebrate this big event. Our craftsmen have carefully design layers and layers of the pop-up to make the sculptures look so vibrant and bring great excitement to receivers. This wise graduation owl is a happy graduate! 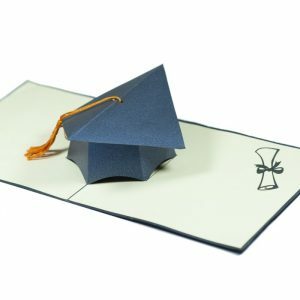 Delight your loved one on their graduation with this awesome pop up card. 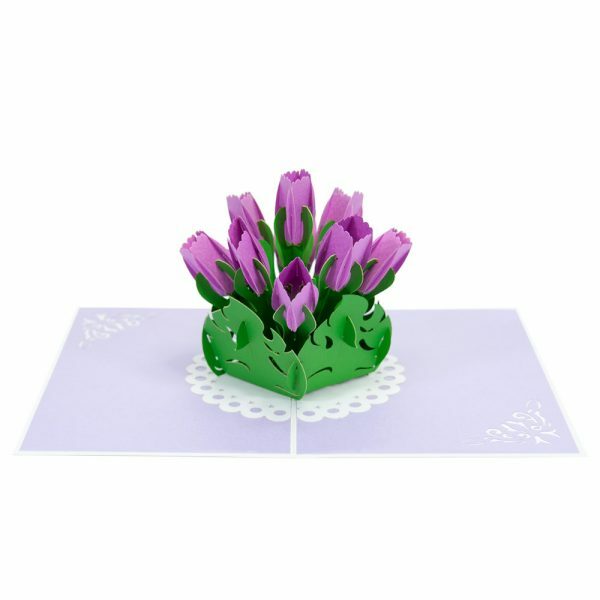 Tulips pop up card has a white cover that features beautiful water-color tulips flowers. The image reveals just enough of the surprise inside. Open the card and you will find a stunning three-dimensional sculpture of a romantic purple tulip bush. Bring about a twist to your usual sweet messages to your lover. This greeting card filled with adorable flower illustrations will help you translate those lovable sentiments. Sending across your sweetest gestures are just about possible with this one! 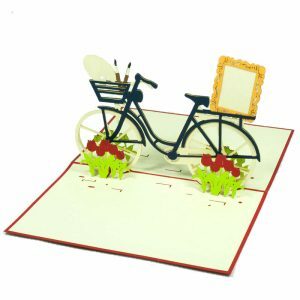 Tulips pop up card is perfect to express your love to your other half on Valentines Day or Anniversary. 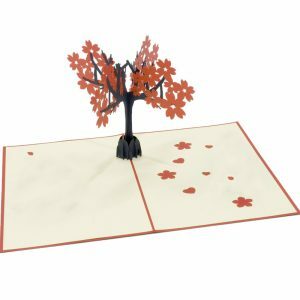 It can also be a great choice for Thank-you and Congratulations occasions. 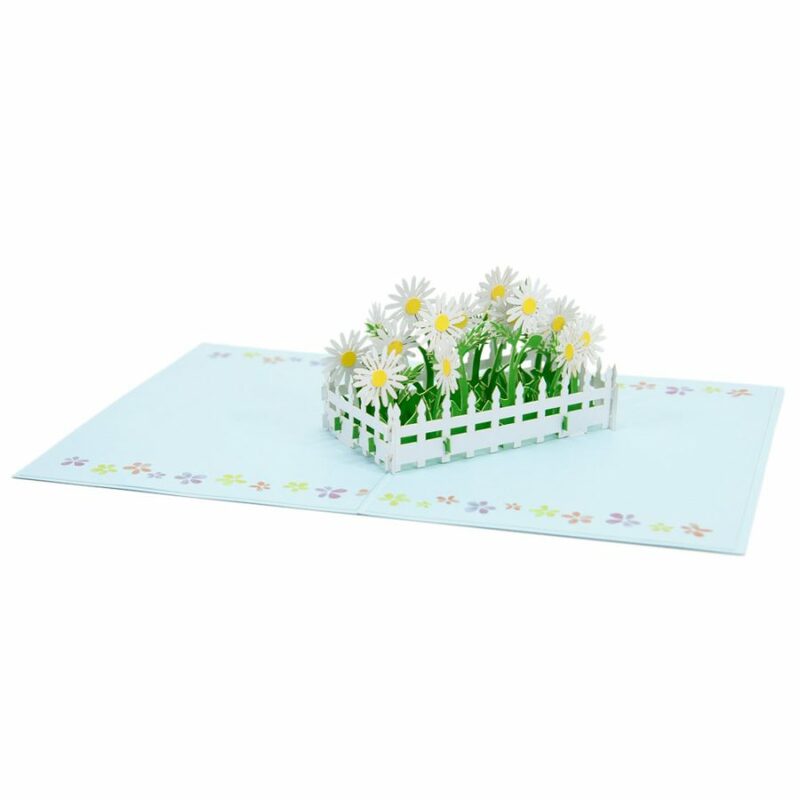 Daisy pop up card has a blue cover with daisy flowers patterns. The image reveals just enough of the surprise inside. 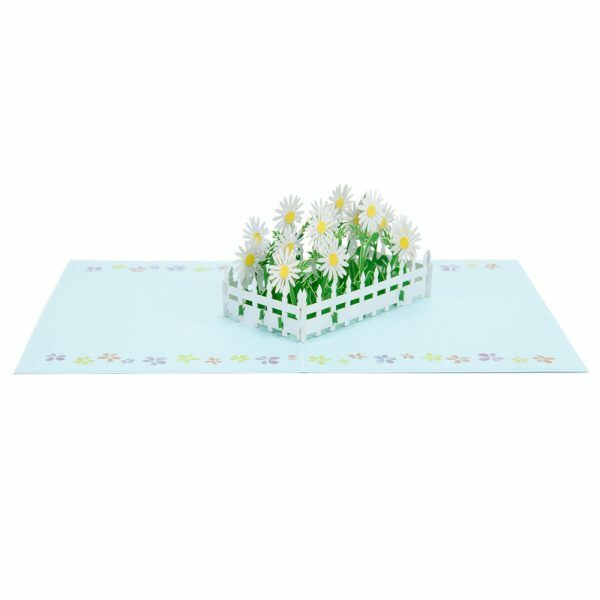 Open the card and you will find a stunning three-dimensional sculpture of pure white daisy flowers in a beautiful garden with white fences. 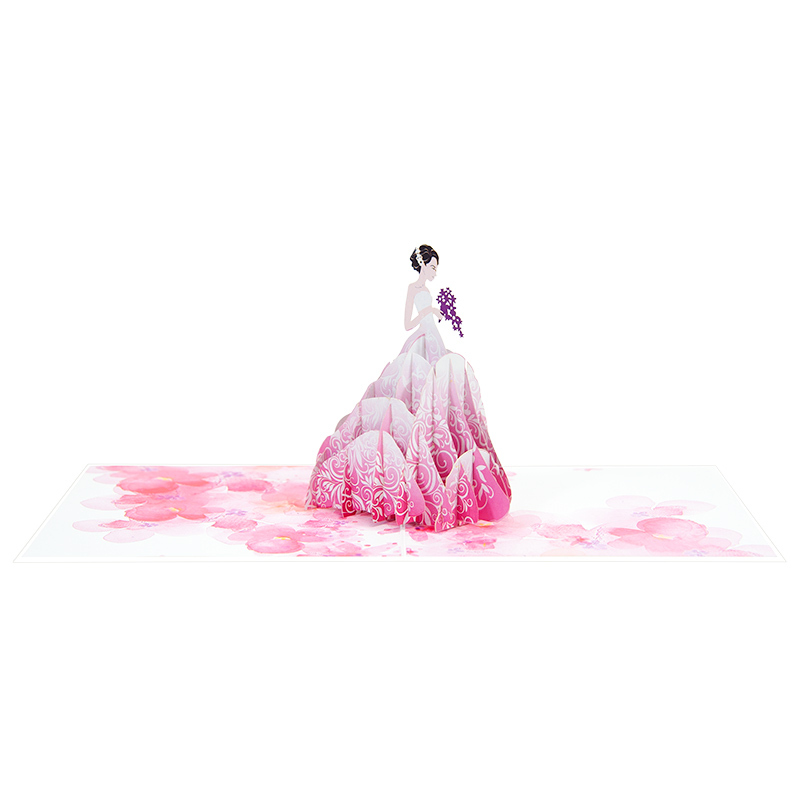 We paid full attention to even the smallest detail like constructing each petal to make the 3D sculpture become the most lively. Daisies symbolize innocence and purity.Freya is the goddess of love, beauty, and fertility, and as such the daisy came by symbolizing childbirth, motherhood, and new beginnings. Daisies are sometimes given to congratulate new mothers. This flower is a great inspiration for us to create this kirigami card designs. Our craftsmen have carefully design layers and layers of the pop-up to make the sculptures look so vibrant and bring great excitement to recipients. 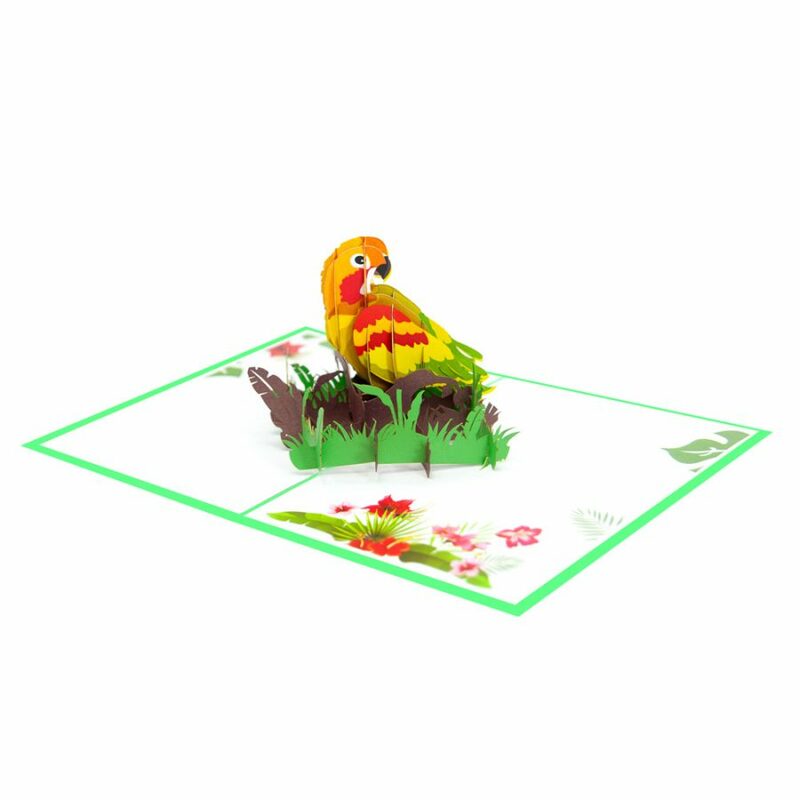 Hey Buddy!, I found this information for you: "New designed pop up cards – [April 2019]". 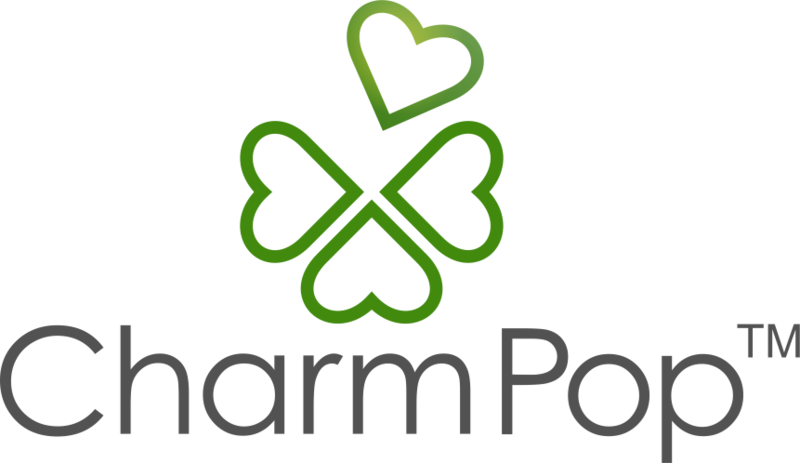 Here is the website link: https://charmpopcards.com/new-release-pop-up-card-april-2019.html. Thank you.